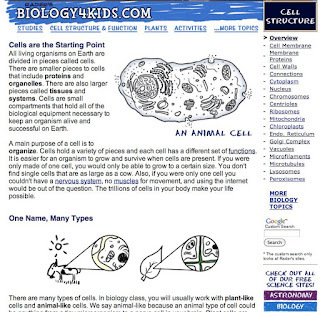 Since cells are the basic units of all living things there are many great websites about them. In this webquest you will primarily use two of the best sites to discover what many of the parts of eukaryotic cells look like and what they do. 1. Identify the structure and function of major organelles. 2. 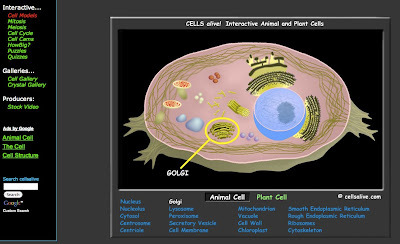 Explain the main differences between cells in plants and cells in animals. 3. Evaluate two different websites to get the most useful information from each. Use the following sites to fill out your "Cell Structure and Function Webquest." Each site has its strengths and weaknesses. Your style of blog presentation is very attractive.The meaningful contribution of your mind reflects on the people.